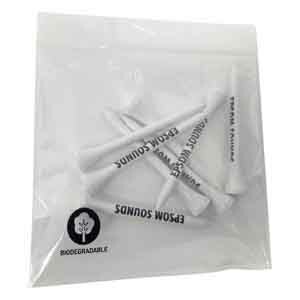 Top quality 70mm wooden golf tees printed one colour to your design. Bagged in to self seal poly bags of 10, 20, 25, 30 tees per bag are offered. Minimum per bag is ten tees. Price is per thousand tees. Minimum order is 500 tees. Print Area : 40mm x 4mm.